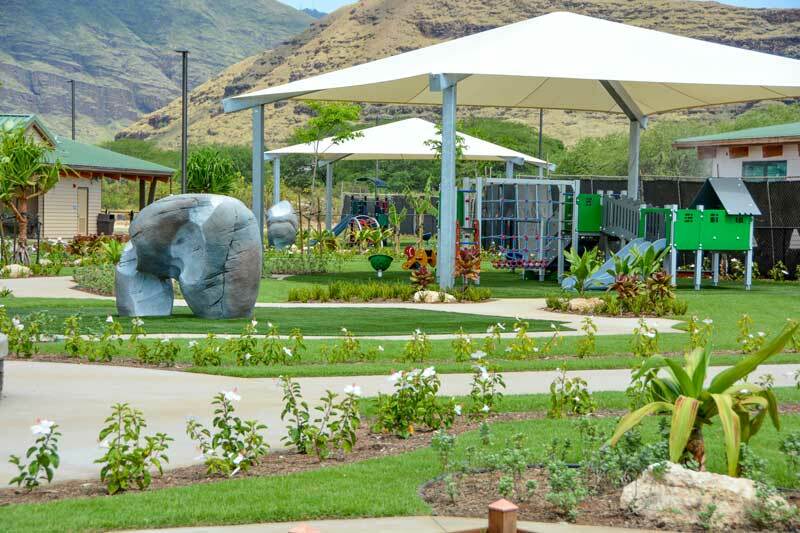 HIGHWIRE products are designed to cover the broad needs of any park or playground. 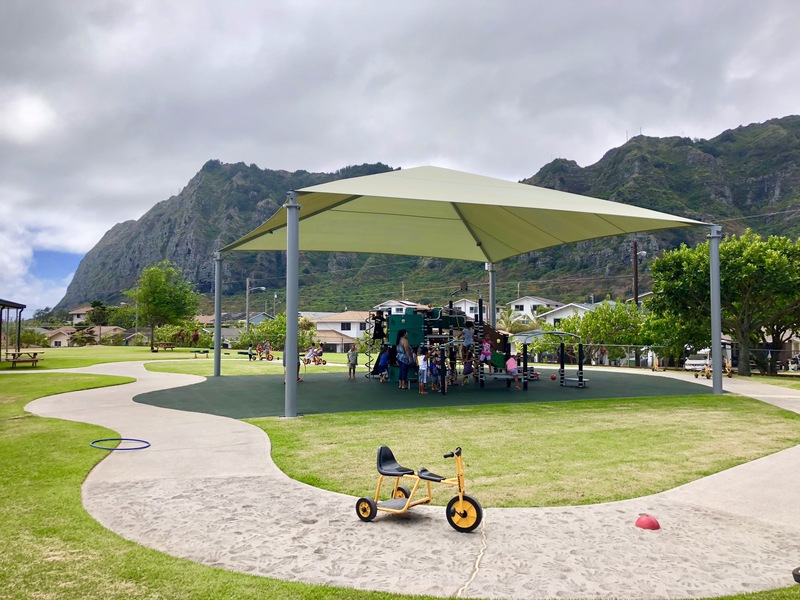 Incorporating shade structures into parks and playground designs is important regardless of the weather conditions in your area. 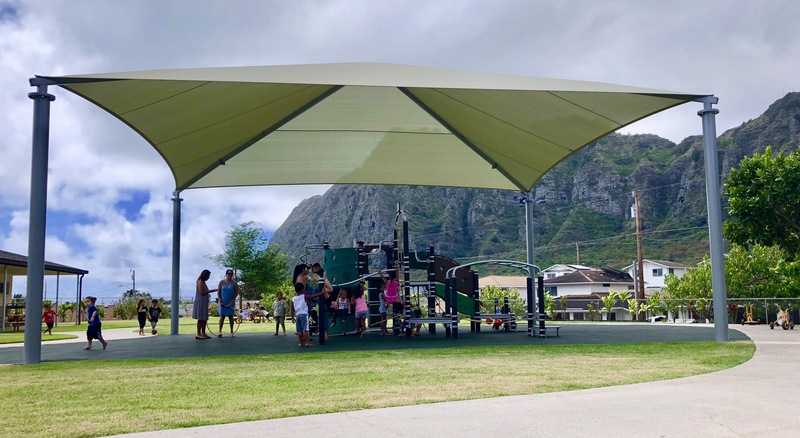 Whether it is protection from rain or sun, Shade Systems, offers a wide range of shade structures that are as beautiful as they are functional. Contact us now for details on the shade system that is best for your project. 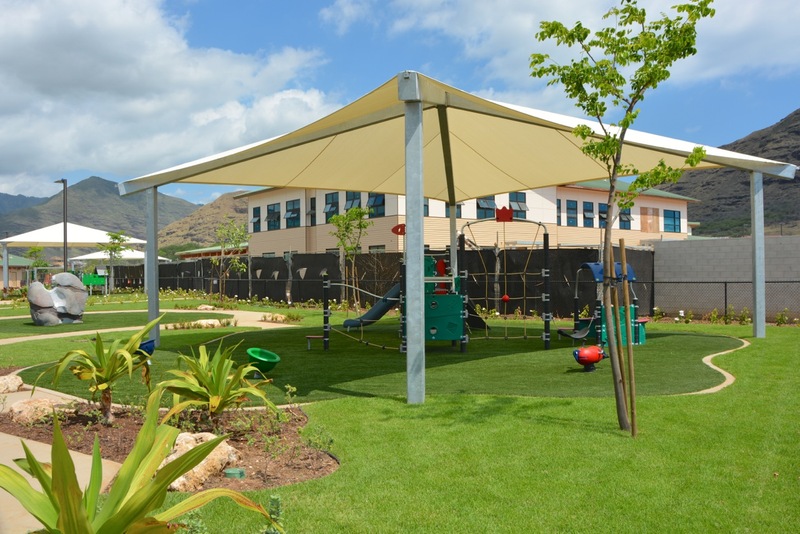 Our Shade Systems are designed for simple installation, easy maintenance and maximum durability. 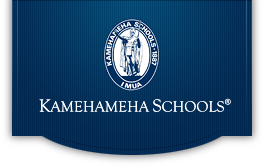 The fastening systems are configured so that shades can easily be removed to prepare for winter seasons or impending storms. 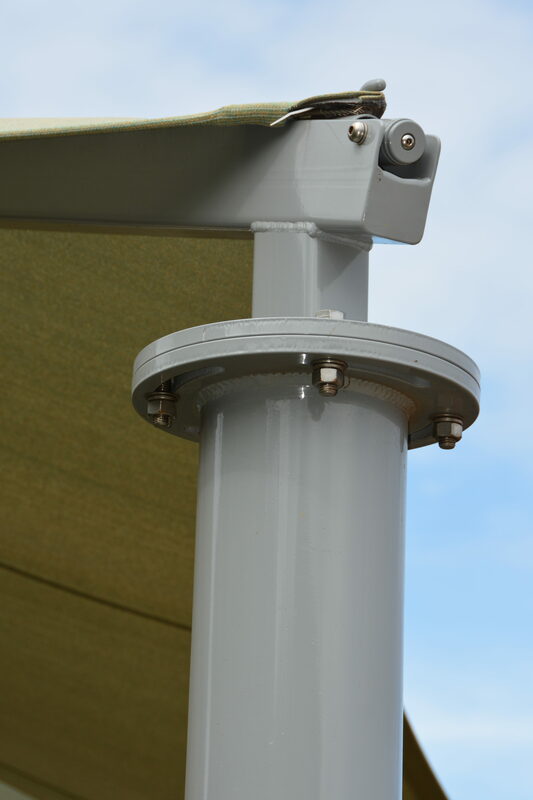 The Shade Systems Turn-N-Slide™ easy fastening device has an adjustable hook for accurate tensioning each time. Each side of structure has an independent cable that’s pre-cut and looped at the factory, this eliminates no guesswork in the field! No special tools required for installing or removing your canopy − just a common socket wrench and a supplied vandal-resistant hex key. 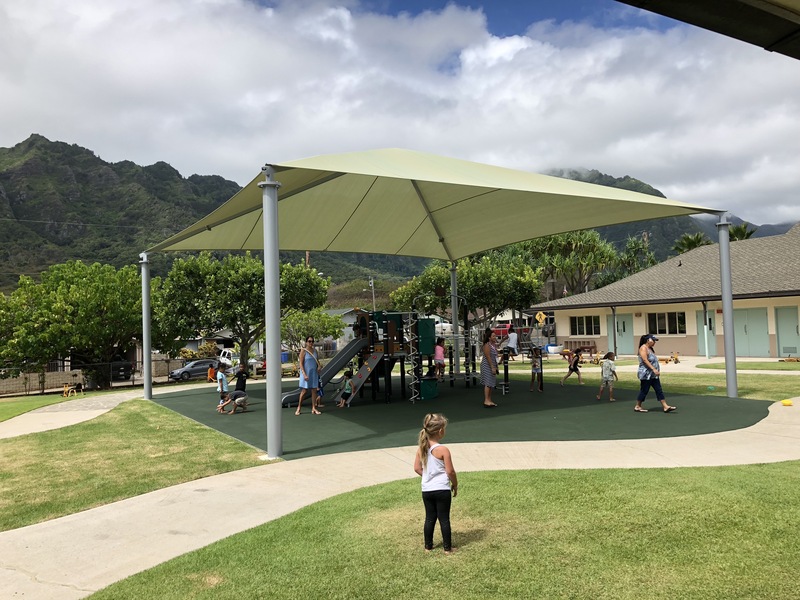 Shade Systems meet stringent International Building Code requirements. 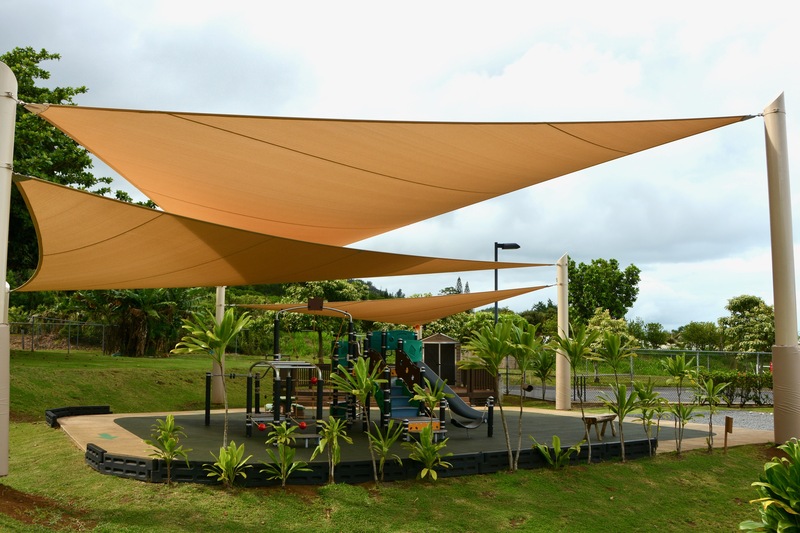 Shade systems provide 99% UV screening for maximum sun protection. 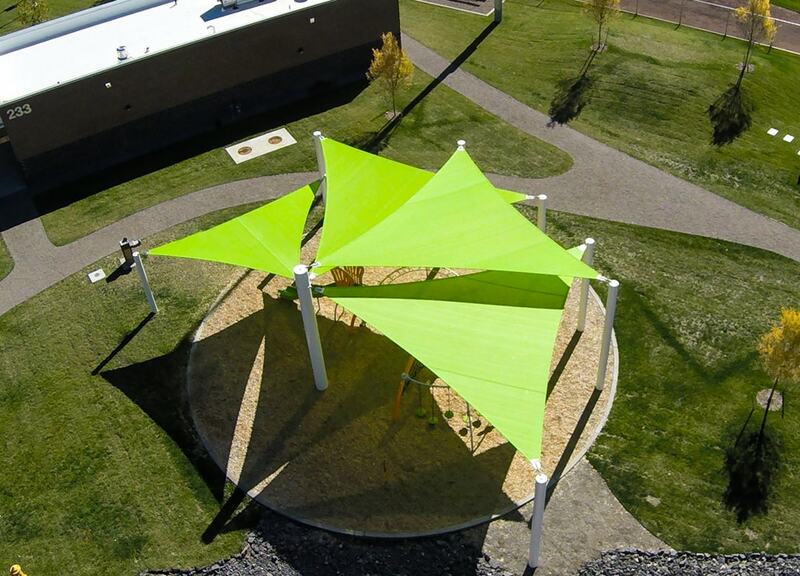 Additionally these shade systems are available in a wide variety of colors and shapes. 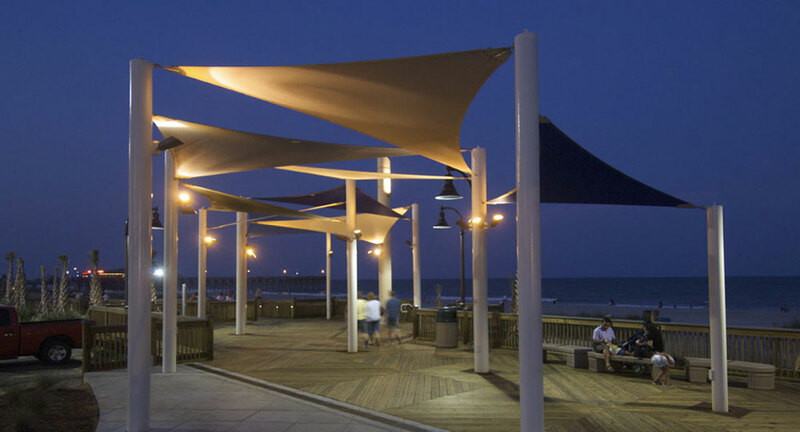 Sail shades are perfect for covering odd shaped areas and for creating a unique architectural point of interest. 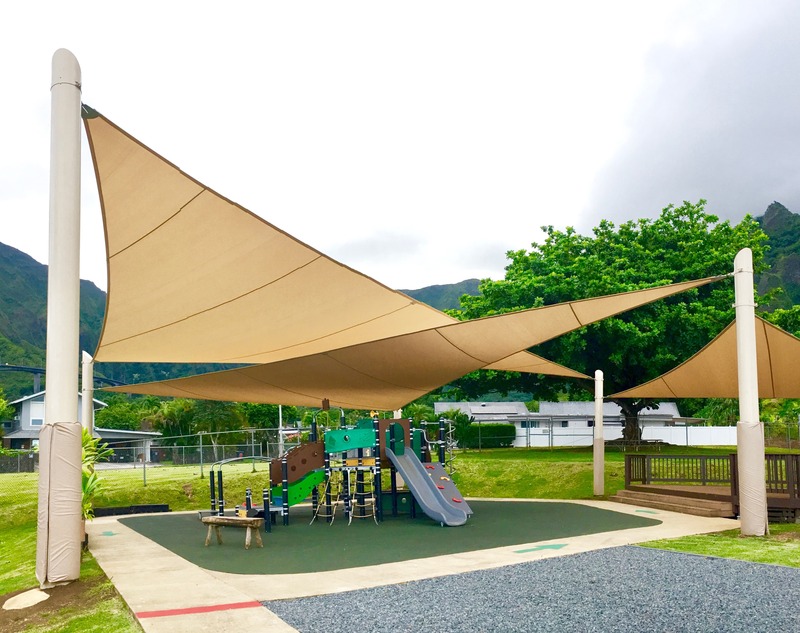 Square, rectangle, octagon and hexagon shaped shades all offer large-scale durable coverage in a variety of colors to enhance your project.